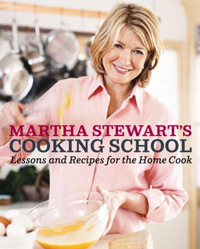 Who better to produce a culinary course for home cooks than Martha Stewart? Not only is she is a consummate teacher and perfectionist; she is backed by the best cooking assistants and test kitchen around, and afterall, she started her career in the kitchen. In a nutshell, Martha Stewart’s Cooking School is a book of general cooking techniques and classic recipes stylishly presented for the home cook. Martha Stewart’s Cooking School includes all the need-to-know techniques for a home cook from making stocks, cooking with eggs, how to cook vegetables and grains and making fresh pasta and sauces. There is also a section on desserts covering classics such as meringues, soufflés, custards and sorbets. But if you want to hone your baking skills I recommend Martha Stewart’s Baking Book. 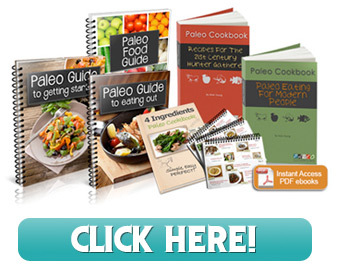 Although not a recipe book, there are @200 all new recipes to apply your new culinary skills. A nice mix of classics like Roast Chicken, Buttermilk Fried Chicken, Omelets, Very Best Burger, Country Pate, Marinara Sauce, Double Crust Apple Pie and of course your classic sauces. There are also some new twists like a Squash and Goat Cheese Frittata, Braised Fish with Fennel and Tomato and Tortilla Soup. With handy charts on cooking times for meats and best cuts for braising and stewing this book also does double duty as a handy kitchen reference. The layout and instruction, along with the broad content will appeal to a wide range of home cooks from the absolute novice to the more experience. It has a fresh, clean layout with really top- notch photographs for the step-by-step components. The instructions are clear and concise without any unnecessary chitchat. Put this book along side your copy of How to Cook Everything by Mark Bittman and you are really set to cook up a storm.